I just bought a TECSUN PL-380 radio. It is probably the very best pocket radio receiver ever created. The PL-380 is physically small, fits in a shirt pocket, and is just 5-1/4 inch wide x 3-3/8 inch high x 1 inch deep. It is an amazing radio, capable of full band scanning, and with 550 station preset memories. It also contains a DSP audio processing chip that eliminates adjacent channel interference on the shortwave band. I paid CDN$42.52 (US$39.99) for the radio plus CDN$14.88 (US$14.00) for the shipping from Hong Kong. That seems like a great deal. I made a few shortwave radios as a child (my dad helped me on the first few) and I miss the experience. May have to get one of these. The only flaw with this radio that I have discovered so far, is that the sound from the tiny built-in 2" speaker is rather tinny. But that is an issue with all such small, pocket size radios. When using stereo headphones, the radio sounds fabulous. how well to do you receive npr on that thing? Some of these stations broadcast on AM, others are FM stations. None of them broadcast high power, short wave signals aimed at a world wide audience, as their transmissions are just intended for their local communities. So receiving NPR depends on where you live, and if you do not live in the United States, or very nearby, is it unlikely that you will receive NPR on any radio. so... is there an equally boring source of media programing for your device? 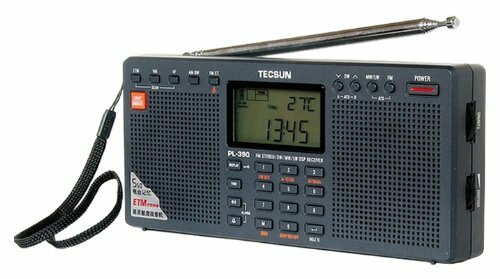 This thread is about a specific radio, the Tecsun PL-380. It is not about what radio stations are available to be listen to in various communities. what advantages does the tecsun pl-380 have over the tecsun pl-606? 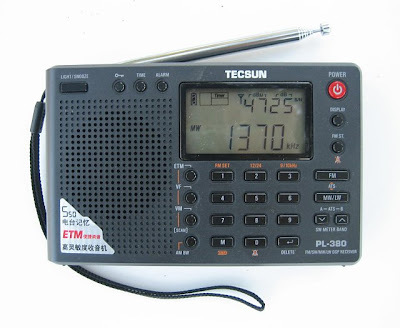 The Tecsun PL-606 lacks the numeric keypad, and is around $5 cheaper (US$35). On that unit, you can not simply type in the frequency you wish to listen to. Otherwise, the two models are quite similar. 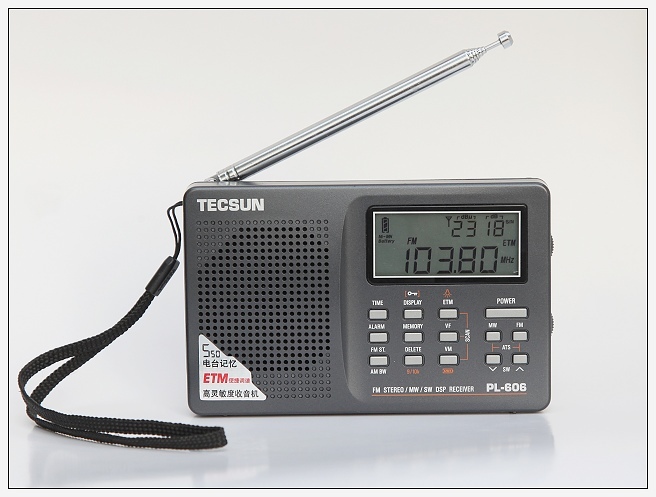 Tecsun also has a larger, stereo speaker model of their radio available, the PL-390. That one cost US$60, but won't fit in a shirt pocket. I bought the PL-380 model because it was both pocket size and had all the features, including the numeric keypad. The small speaker in it is not an issue for me, since I bought it to use with stereo ear buds.